Worried you’ll miss an important notification when you need a quiet phone? Create a great visual ringer with flash alert apps and easily get notified of any app notification you use on your phone even when your screen is off. With the right app, you can lighten up the display with color animations when you receive notifications from your apps. To help with the search, we looked and we have a great app to help you personalize the way you receive notifications. Let’s see what the app is all about. What is Edge Lighting all about? 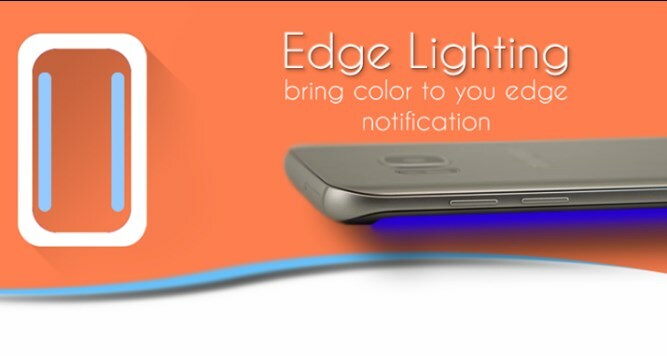 The Edge Lighting is specially created as an efficient personalization lighting app that is easy to use, simply designed and developed for all android users that use galaxy smartphones. This app is allowing the users to instantly get color alerts that will lighten up their edge display when they receive a notification from different social apps on their phone. By using this incredible app, users can personalize and change the way of receiving a notification with color alerts popping for notifications when their screen is off. On the app amazing and beautifully designed animations are offered to choose from, offering the user to choose and set the color he likes for each app he has by preference. This lighting app has to offer two versions, the standard and the lite version, with the lite version the user can use the app for maximum 4 apps and with the standard version the app can be used an unlimited number of times. 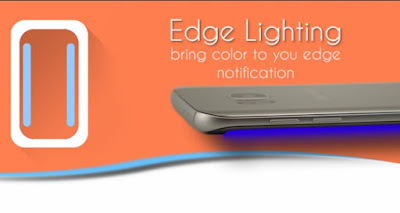 Specially designed for users of Galaxy S7/S7 Edge, S8/S8+, S9/S9+ as an improvement of Edge Lighting they own. With this app users will be able to choose from a varied palette of unique and beautiful animations, designed uniquely offering users to choose the color animation they like the most for each of their social media apps. By using the app, a color alert will appear on the display of the user when his screen is off, notifying him instantly when he receives a notification from his apps. The app also offers features like the reminder feature and the option for the user to set the animation time by preference and choose the color that will pop up for each app. Different beautiful animations are available for the users when his phone is placed with screen up, updated monthly. Users can also easily disable the visual effects when they want to save their battery. Quickly and effortlessly, users will personalize the way of receiving notifications and choose the color animation they like, setting them by choice for each app they own on their galaxy phones. Download it now for free on Google Play to set colorful alerts for social media notifications!